What's almost as exciting as the Sorcerer's Hat coming down at Disney's Hollywood Studios, or Trader Sam's opening in just a few short months at Disney's Polynesian Resort?? 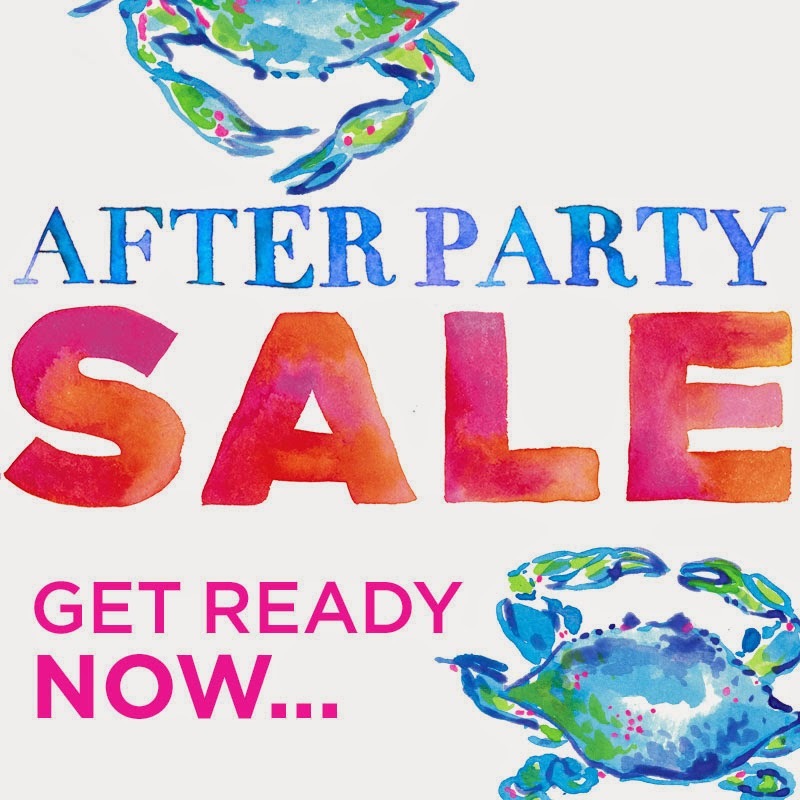 The Semi Annual Lilly Pulitzer After Party Sale, that's what! 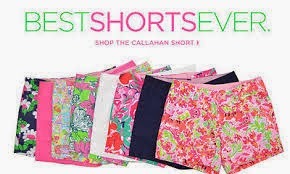 This too-good-to-be-missed event is happening TOMORROW at 8:00 am sharp on LillyPulitzer.com, and just like back in August, I'm here to give you some tips and fit guides for making the most of the sale. 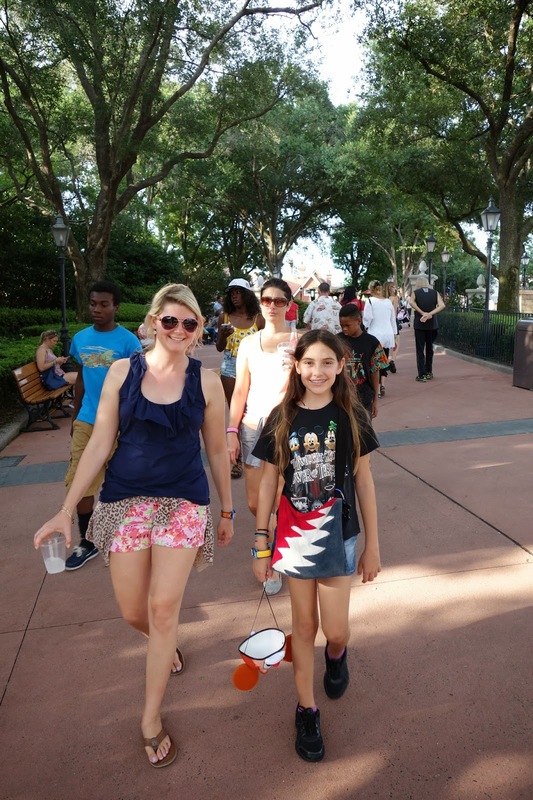 First, I'll give you a brief overview of the sale, then I'll show you some of my favorite finds and how I've worn them in the parks over the past few years. Cheers! 1. 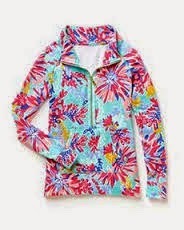 This sale is hugely popular for a reason- lots of Lilly at ridiculously good prices. The site will crash, it always does, but it's worth the wait. The most reliable way to shop is through your computer, but having your phone for backup is never a bad idea. 2. Go to LillyPulitzer.com and create an account (top left corner, click Sign In, then Create An Account). The importance of this can't be stressed enough- see post from August for why. 3. In fact, I'm not going to re-write all of the tips because John and I are itching to get out the door to DHS to catch the Comedy Warehouse Holiday Special and have Cobb salads at the Hollywood Brown Derby (awesome Sunday, I know!). So check out this post, scroll halfway down, and get advice from there. Nothing's changed except the fact that this sale is only TWO days long instead of THREE. For more detail, click here for FAQ's from the Lilly site. Ok, you're all set and ready to shop-- here's a few of my favorites, along with a fit guide. These are my go-to warm weather staple when touring the parks. Toss on a tank or tee and you're done. I'm a 4/6, and usually order a size 6 in these. I have a few size 4's, and they tend to stretch out a bit with wear, but my standard order is size 6. From the 2013 Monstrous Summer 24-Hour day in the Magic Kingdom. From the Fourth of July and featured in this post. These are another closet staple, and are similar in fit to the Callahan, except they have a cute scalloped hem. Sizing is the same as Callahan- I'm a 4/6 and get these in a size 6. From the 2014 Rock Your Disney Side 24-Hour Day in the Magic Kingdom. 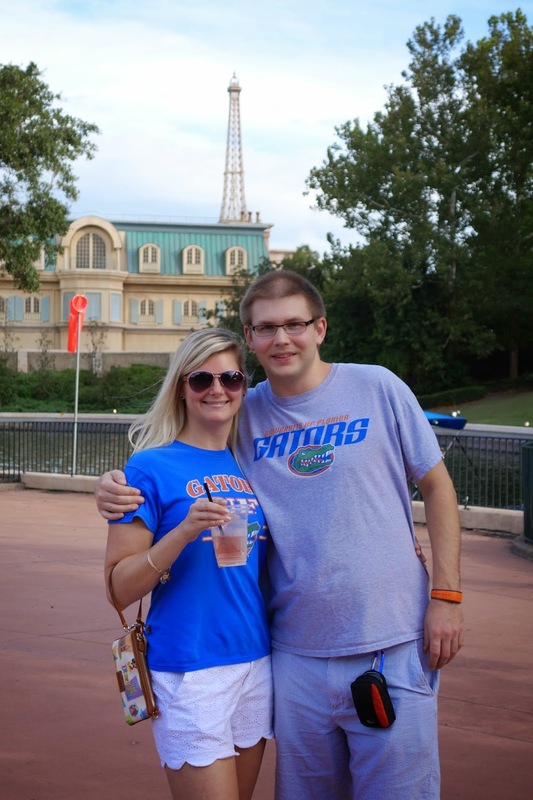 Cheering on the Gators at the Boardwalk and Epcot. Not sure if they'll have this exact tank in this sale, but any lightweight, flowy, silk tank by Lilly is in my warm weather rotation for the parks. They come in many prints and colors. I wear a Medium to give a bit of leeway. Epcot with a few of my faves @pangiehubbard and @tradzak. 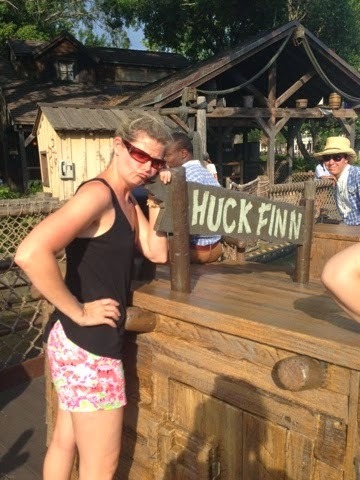 Ready to ride the Davy Crockett canoes at Disneyland. 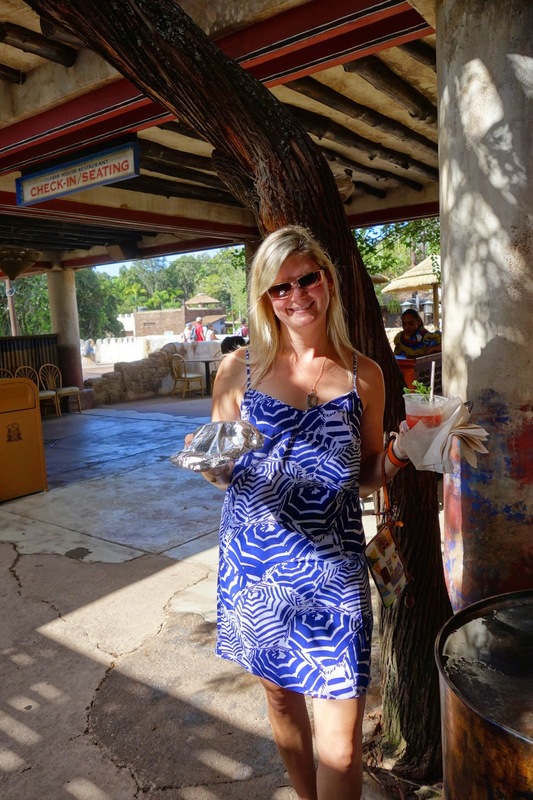 Enjoying a mojito at the Dawa Bar in Disney's Animal Kingdom. See, I wear this bad boy A LOT! Along the same lines as the Manila top, the Dusk comes in a tank version. I got the dress version during the August sale and have worn it many times. I ordered a size Small, but the Medium would have worked too. Comes in many prints and colors. 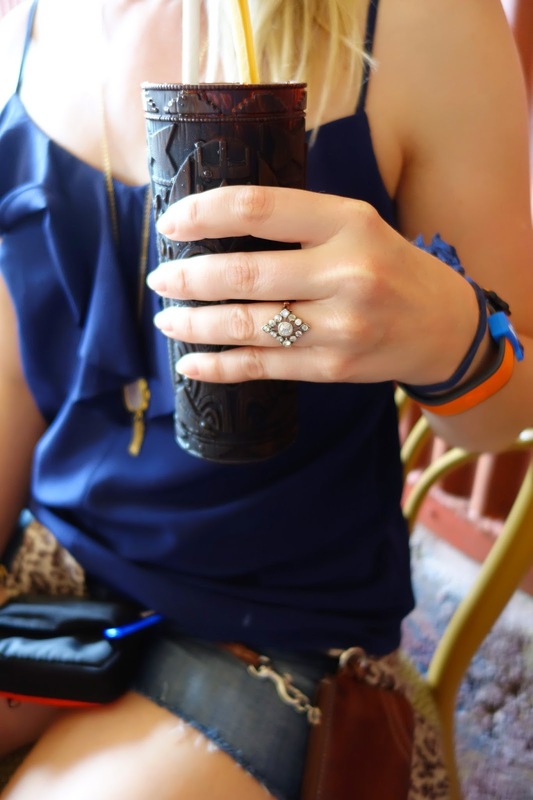 Bloody Mary's at the Dawa Bar- full post here. While I don't necessarily wear these for park touring, they're great to put on for dinner at a Resort. I'd also wear this if we were going into a park for dinner or evening activities. Again, I'm a 4/6 and wear either an XS or S- these have a generous cut. Not Disney, but a good example of the fit and style of the Elsa. 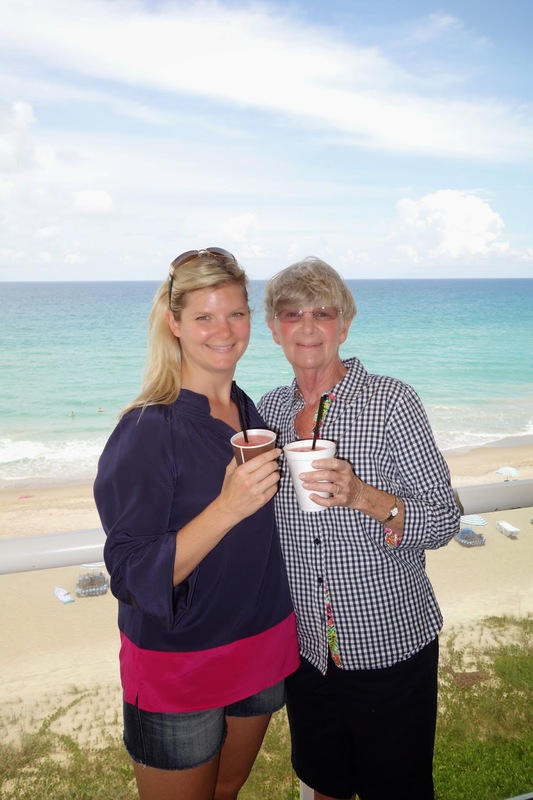 To show that they're flattering for all ages, here's a picture of my mom wearing one during our Mother's Day Weekend at Disney's Beach Club Resort. Since we're gearing up for 'winter' here in Florida, here are a few of my favorite items to use when the weather dips below the 70's- brr! These babies are the bomb. Yes, they're pricey, but with the sale, they're much more affordable. Made out of a cashmere blend, they're luxe and cozy and soft. They're perfect for airplane travel, layering for fluctuating park weather, even as a fancy bathing suit sarong. Treat yourself to one during the sale- you won't be sorry. 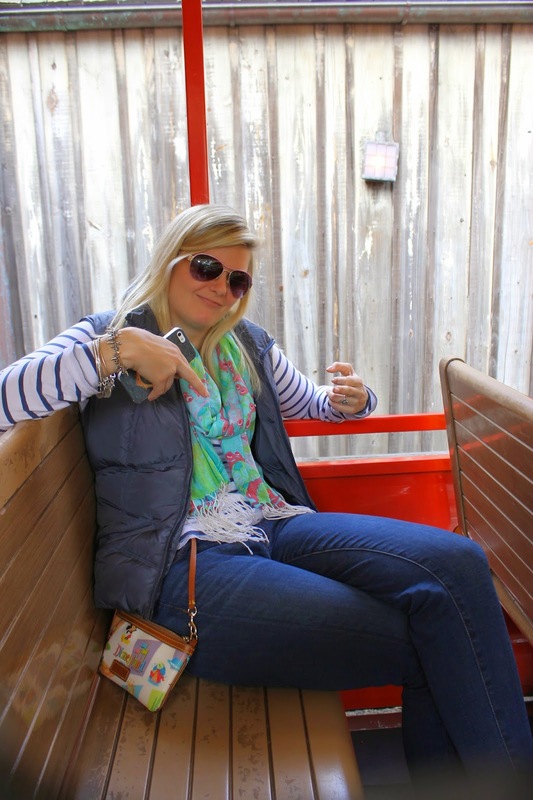 Chillin' on the Walt Disney World Railroad. Literally chilling'. You KNOW it's chilly when I'm wearing jeans, long sleeves, a puffy vest AND a Murfee. Hanging with my main man Donald (and my nephew). This lovely is relatively new to me- I got my first about a month ago, and have already worn it multiple times. It's stretchy, the perfect weight, and has a flattering fit. Comes in lots of colors and prints. I wear a Medium. Breakfast at Crystal Palace with one of my favorites. Finally, here are two items I'm hoping to score during tomorrow's sale. I tried them on in store so I know what size I want. Fingers crossed! This runs slightly big- I'm going to get a Small. Again, with the tanks. Again, with the ruffles. Again, with the navy. I'll get a size Medium, since this is cotton and may shrink in the wash.
What are you hoping to score? Let me know what you end up getting, and happy shopping! Wow, incredible blog structure! How long have you ever been running a blog for? you made blogging glance easy. The whole look of your website is fantastic, as neatly as the content!